Home » Gran Fondos » What to wear when riding in the cold. 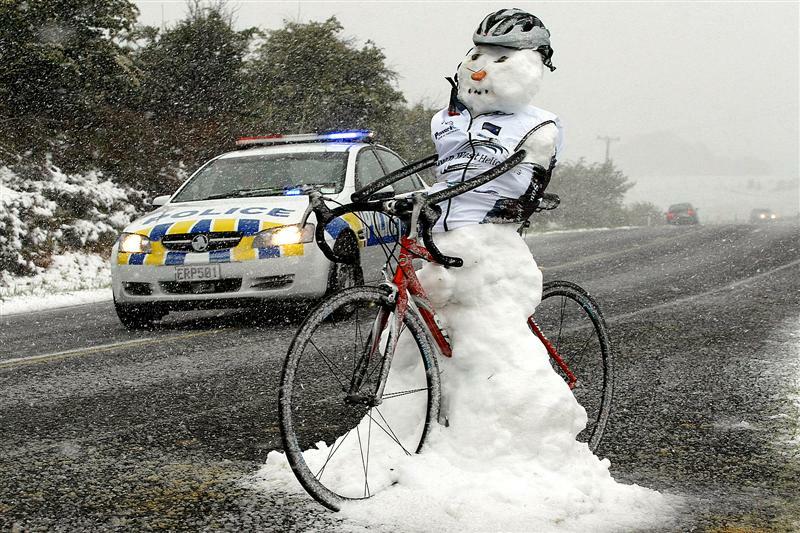 Now that the cold weather is upon us, you have a choice stop riding outside or change your wardrobe. We all know staying inside isn’t an option. Now that we’ve decided you’ll be riding outside this winter, it’s time to assemble your wardrobe. You can start with some base pieces and augment them with items you already own. I would consider insulated gloves and neoprene shoe covers the most important pieces to start with. If your hands and feet are cold, you’ll be uncomfortable the whole ride. Next, I would purchase tights, a winter cycling jacket, long sleeve base layer, and a long sleeve Jersey. GFNY has most of these items for sale on their website, but there are many places where you can purchase these items. Don’t forget chemical hand and toe warmers, They help take the bite off when it gets really cold. I usually buy them in bulk from Costco. If you want to try and cut some corners, here’s an interesting video of a few hacks to help you survive winter cycling. Keep in mind you will need to make minor personal adjustments, everyone has different tolerances for cold. A few final tips. You want to dress to be slightly cold when you start riding. Many cycling shoes have vents on the bottom. If your shoes have these vents I recommend covering them with duct tape for the winter. Rather than recreate the many articles on what to wear for what temperatures I listed a few articles below on suggestions for what to wear based on the temperature. ← My sons first trip around Rockland Lake.